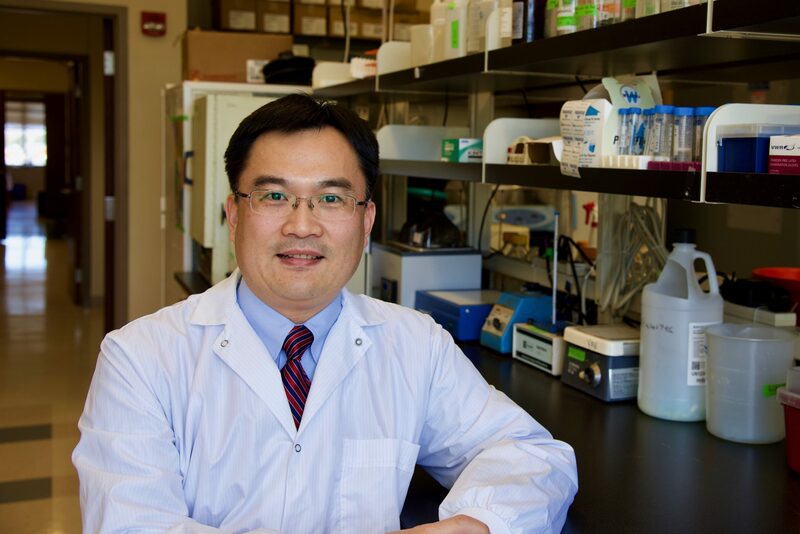 Shan Yan, associate professor in the Department of Biological Sciences at UNC Charlotte, has received a $1.7 million R01 research grant from the National Cancer Institute at the National Institutes of Health. Findings are expected to offer insight into how cancers develop and to open avenues to new therapeutic strategies, especially with pancreatic cancers. An elaborate network called DNA damage response pathway detects these abnormal DNA structures through a process called checkpoint signaling, and coordinates the repair and activation. Yet, the processes by which this signaling and DNA repair take place are still only partly understood because of their complexity and speed, and the difficulty of studying complex interactions within living cells. Additionally, little is known about how cells sense the unrepaired oxidatively-damaged DNA in the first place. 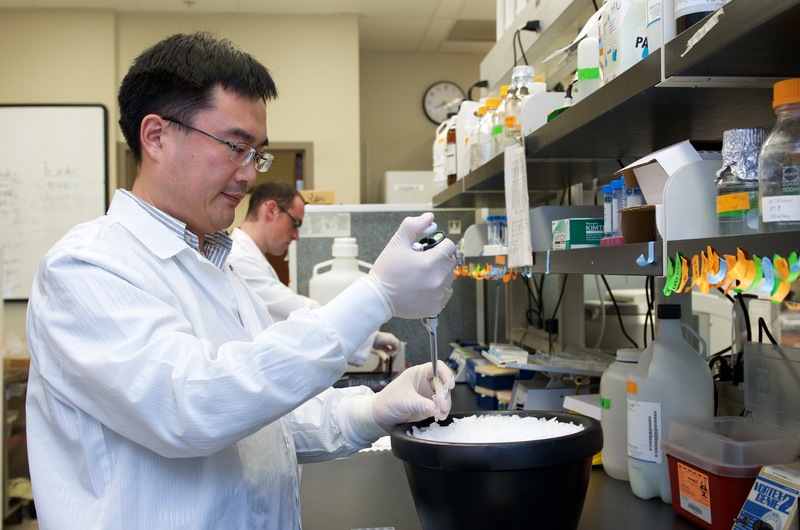 The 5-year grant (NIH R01CA225637) Yan’s lab has received will support the continuation of the lab’s study of the mechanism of a repair protein called APE1 in DNA damage response. While APE1 is known for its critical functions in base excision repair and transcriptional regulation, it is currently unknown whether APE1 plays an essential role in DNA damage response pathway. Using innovative biochemical and structure-function analysis in egg extracts from Xenopus – a genus of highly aquatic frogs – and mammalian cells, the Yan lab intends to demonstrate how the damage is recognized and processed. Target proteins found in Xenopus are correlated with those found in cancer patients. The researchers will also validate the findings from the Xenopus system in mammalian cells, including pancreatic cancer cells. The Research Project Grant (R01) is the original and historically oldest grant mechanism used by NIH, providing support for health-related research and development. The Yan lab also has been supported, in part, by grants from the NIH/NIGMS (R15GM101571 and R15GM114713) and funds from UNC Charlotte (Duke Energy Endowment Special Initiatives Fund and Faculty Research Grants). Previous stories about Yan’s lab can be found here and here.